The John Cootes Furniture Australian A Class Catamaran National Championships will be a unique event for the Australian summer of sailing . 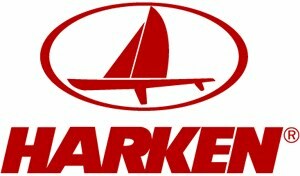 The event will bring together three current World Champions to race at Wangi, on the waters of Lake Macquarie. 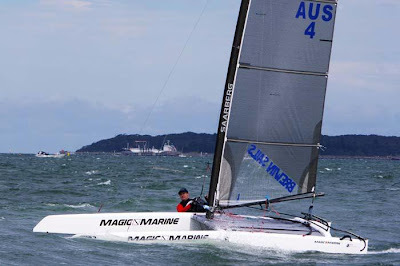 Tom Slingsby is the current World Laser champion (2011 now making three World Titles) and just crowned ISAF World champion in Perth a few weeks ago, and he is continuing to win virtually every International Laser event in the lead up to the 2012 Olympics. Nathan Outteridge is the 2011 champion in both the 49ner and International Moth Class, and is also looking good for a medal at the London Olympics after winning Gold for the 49er class at the ISAF Worlds in Perth. These two will be pitted against Steve Brewin, whom recently secured the 2011 A Class Catamaran World Crown in Aarhus, Denmark. The form guide for this regatta will also be complicated by the infusion of a number of the AC 45 sailors who will be heading down under for the Christmas break in their AC 45 campaigns . Team Oracle will be very well represented. James Spithill will bring along his tactician John Kostecki, and trimmer Dirk de Ridder. Darren Bundock and Tom Slingsby will represent the other Oracle AC 45. Glenn Ashby and Adam Beashel will fly the flag for Emirates Team Zealand. Life at the top will be tough, as these sailor will be racing against other Australians whom filled the top six places in the Danish Worlds. The Aussie Titles will be a true "Champion of Champions " contest. 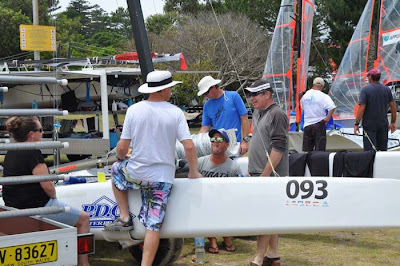 Around 70 boats are expected to contest the event ,which will be hosted by the Wangi (RSL) Amateur Sailing Club , under the direction of PRO Tony Outteridge, during the first week in January Zhik will be the other major sponsor,in addition to John Cootes Furniture. Simon McKeown, a long time A Cat sailor and current Australian of the year has indicated that he is very much looking forward to competing in the regatta. One thing for sure this event is going to be big and is going to take world class skill to just finish inside the top 20.